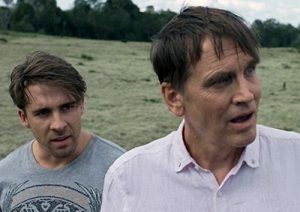 Interview: Horror Icon Bill Moseley Talks ‘Boar’ – Spotlight Report "The Best Entertainment Website in Oz"
Known for his roles in iconic horror films like 1986’s The Texas Chainsaw Massacre 2 and Rob Zombie‘s The House of 1000 Corpses and The Devil Reject’s, American actor Bill Moseley has just finished filming ‘3 From Hell’, the highly anticipated sequel of The Devil’s Reject, also directed by Rob Zombie. 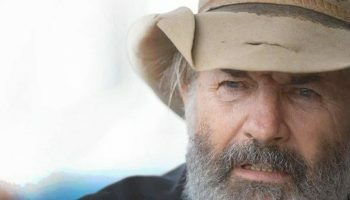 Mr. Moseley, also hit the Australian outback not long ago, as part of the cast of the Australian monster flick Boar, where he plays the role of Bruce alongside the likes of Simone Buchanan, Hugh Sheridan and the legendary John Jarratt among others. 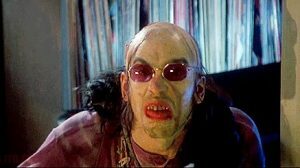 We were lucky enough to get in touch with Bill Moseley, who gave us an inside about shooting Boar and his experience working with the likes of Rob Zombie and of course, about his iconic role as “Chop-Top” in The Texas Chainsaw Massacre 2. SR. Hi Bill, what an honour to talk to a huge horror icon like you! We really enjoyed seen you running around the Australian outback in ‘Boar’. Can you tell us how was filming there and what memories you have from the shooting? BM. Thanks a lot for your kind words. One of the things that got me into the project was the fact that Chris Sun was on charge, I knew him as we worked together on Charlie’s Farm, and I really wanted to work with him again, he is a great writer and director. For Boar, they put me in a condo, near the beach, so it was great. I also spend good times in Gympie, and I was very sad to hear the Kandanga hotel got burn down, as we filmed around there. It was also great to meet and work with incredible talents like Nathan Jones, Simone Buchanan, Hugh Sheridan and John Jarratt. SR. What can you tell us about playing Bruce in the film? BM. It was fun, Chris really had something special for the character of Bruce as it was the stepfather of some Aussie kids. However, I begged Chris to don’t make me fool the viewers by pulling out a terrible Australian accent, because I’m terrible about it (laughs)…Thankfully he agreed to make me a yank stepdad. SR. I’m a huge fan of the art direction in the Rob Zombie films. I’m not a fan of remakes, but I think his take on the Halloween franchise was nicely done. You have worked with him 2 times if I’m not mistaken, so I wonder how is Rob Zombie on set as a director? BM. Rob (Zombie), is a very honest character. He is great and very understanding. Working with him is more like a collaboration, he made us feel like he is one more of us. There is no actor-director distance at all. Actually, we have just finished shooting 3 From Hell with Rob, which is the sequel of The Devil’s Reject. More than 10 years later we got a sequel, how crazy is that!. I’m not sure when the post production will start, because Rob is on tour with Marylin Manson now, but I’m pretty sure the film is set for release early 2019. SR. I’m a die-hard fan of old school horror films, and of course The Texas Chainsaw Massacre franchise. Can you share with us about how you joined the franchise, as the iconic “Chop-Top” in the second film? BM. Texas was my first big break, and I owed of my success to Chop-Top. It’s funny, because all began with a short film we did called The Texas Chainsaw Manicure, where I play the husband of the girl getting the manicure at the beauty parlour, who is pretty much the hitchhiker on the The Texas Chainsaw Massacre film. Tobe Hooper, who directed The Texas Chainsaw Massacre 2 and he hired me based on my 30 seconds cameo on that short, it was unreal. Rob (Zombie) was also a big Chop-Top fan, and also musician Bucket Head, who I’ve joined on stage more than once (laughs)….So yeah Chop-Top definitely opened the door for me to many opportunities. SR. Hollywood seems to be running out of ideas by pushing sequels, prequels, reboots and remakes like crazy. What is your take on that? BM. I’m not a fan of remakes at all, I prefer originals, and some of the films out there feel quite unnecessary. However, I watched the Dawn of the Dead remake, and it was actually good. Maybe not as good as the original by George Romero, but still enjoyable. I rather to watch new films like Get Out and a Quiet Place. I’ve also watched a very good one that is not horror called Upgrade, that was extremely interesting and well-made. SR. Can you share with us any funny story on the ‘Boar’ set? BM. Everything involving my bad Aussie accent was fun, as I tried to speak like you guys, like a Yank who misspeaks every single Aussie slang. So, I tried to google some of the slang’s Australians say and they came out really bad everyone just laughed at me. Also in Kandanga at the bar I saw this sign “Please don’t bother the Platypus’, so I kept going to the nearest river to try to spot them, but i never saw any. I still wonder if it was a bar joke or not. SR. Just to finish. Do you have any advice for young, aspiring filmmakers who want to do genre films? BM. I’d say like me, do shorts, I got my big break thanks to a short-film, and that was before the internet, before social media and YouTube. Do your own films, create a YouTube channel and upload them all. Also go to the Variety site and check what films are in pre-production and send them your CV’s and your demos. You have nothing to lose, and if you don’t get in, don’t take it personal, just keep trying, keep working and never give up! Vance Joy Tour Hits Australia In Less Than A Month!